Well it is that time of the year again. Get your last lobster splurge and traditional favourites today as the Lobster Fishing Season comes to a close. The Fisheries Department takes this opportunity to inform fishers and the general public that the lobster season will be closed on February 15th and it will remain closed until midnight of June 14th, 2017. 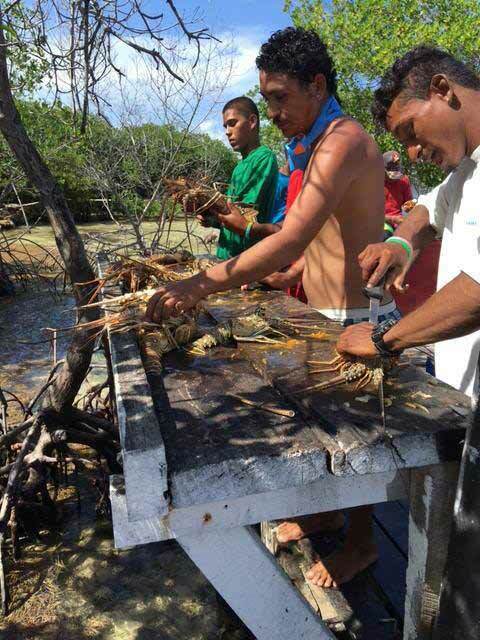 Any person found in possession of lobster during the said closed season will be prosecuted in accordance with Section 3(1) (b) of the Fisheries Regulation, Chapter 210 of the Subsidiary Laws of Belize Revised Edition 2000-2003. The Fisheries Department also reminds fishers that lobster traps should be removed from fishing grounds during the closed fishing season. During the month of March 2017, Fisheries officials will be visiting fishing camps and coastal fishing communities to take stock of lobster traps owned by individual fishers in order to facilitate the registration of such lobster traps. The Fisheries Department will be actively enforcing the removal of traps from the waters during this period.